Ashley Gearhardt, Ph.D., is an Assistant Professor of Clinical Psychology at the University of Michigan. She also earned her B.A. in psychology from The University of Michigan as an undergraduate. While working on her doctorate in clinical psychology at Yale University, Dr. Gearhardt became interested in the possibility that certain foods may be capable of triggering an addictive process. To explore this further, she developed the Yale Food Addiction Scale (YFAS) to operationalize addictive eating behaviors, which has recently been linked with more frequent binge eating episodes in clinical populations, increased prevalence of obesity and patterns of neural activation implicated in other addictive behaviors. She has published over 30 academic articles and her research has been featured on media outlets, such as ABC News, Good Morning America, the Today Show, the Wall Street Journal, and NPR. Jenna’s research career began at the University of South Florida, where as an undergraduate she studied the biological, psychological, and social reasons for why drinking alcohol is so rewarding. This research inspired her to complete her PhD in Health Psychology at the University of California, Los Angeles, where she used models of reward to study why individuals eat unhealthy foods despite being aware of the physical health consequences. She is currently investigating how mechanisms of reward contribute to early development of unhealthy eating behavior. Lindzey completed her B.S. 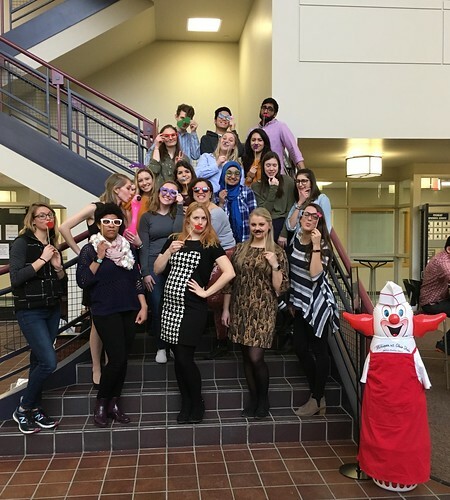 in Psychology at Eureka College in central Illinois in 2016. Prior to working as a lab manager for the FAST lab, Lindzey worked as a Mental Health Associate on an inpatient psychiatric unit and as a crisis counselor with the Children’s Home Association of Illinois. Lindzey’s previous research projects have centered on binge drinking in undergraduate college students. Lindzey is primarily interested in research on severe mental illnesses as well as research related to addictive processes. Future plans include pursuing a Ph.D in Clinical Psychology. Lindsey earned her B.S. in Psychology from Northeastern University in 2014 and worked as a research coordinator in the Department of Psychiatry at Massachusetts General Hospital before joining the FAST Lab as a graduate student in 2018. She is interested in exploring how the concept of withdrawal might apply to addictive eating and its implications for treatment. Her other interests include the relationship between the food addiction construct and weight stigma and how demographic characteristics such as race, ethnicity, and socio-economic status impact risk for food addiction. Julia earned her B.S. in Neuroscience and minor in English at Duke University. She is now a first-year doctoral student in Clinical Psychology. Her current research explores individual differences in infant sucrose response and seeks to index reward system development in early life. She is also interested in exploring the potential effects of dietary restraint on food cue reactivity and addictive-like eating. Erica earned her M.S. in Clinical Psychology from the University of Michigan and her B.A. in Psychology from the University of Kansas. She is currently a fifth-year doctoral student in clinical psychology. Erica is interested in identifying which foods or food attributes may be implicated in addictive-like eating. Additionally, she hopes to explore whether individuals may experience symptoms of dependence, such as withdrawal and tolerance, in response to these foods. Michelle earned a M.S. in Clinical Psychology from the University of Michigan and a B.A. in Psychology from Stanford University. She is currently a fifth-year doctoral student in clinical psychology. Her current research focuses on cue-induced food cravings. She is interested in the how the brain responds to food rewards, and how these responses contribute to addictive-like eating behaviors. Emma Schiestl earned B.A.s in Psychology and Philosophy from Colorado College in the Spring of 2015. She is currently a second-year doctoral student in the department of Clinical Psychology. Her current research interests include evaluating the impact of negative emotion on subsequent eating behaviors and understanding the influence of impulsivity on food-addiction status. She is especially interested in using real-time assessment technology to better understand proximal and antecedent variables that influence the decision to eat and what types of foods to consume. Rhianna is a junior majoring in psychology and is also planning to minor in Spanish. She is interested in the development of the comorbidity of eating disorders and substance use disorders. In the future, she hopes to earn a PhD in Clinical Psychology. Aviva is a junior on the pre-med track with a major in Psychology and a minor in Gender and Health. She is interested in exploring the role that trauma plays in the development of problematic eating behaviors, as well as the ways in which mood affects cravings and regulatory processes related to indulgence. Upon the completion of her undergraduate studies, she hopes to attend medical school, with a potential specialty in Obstetrics and Gynecology. Zoe is a junior majoring in psychology and hoping to pursue a minor in environmental studies. She is interested in how the environment impacts people’s decision making and the development of eating disorders. In the future she plans to attend graduate school to earn a masters in social work or to attend law school to explore her interest in environmental law. Elizabeth is a Junior at Central Michigan University majoring in Psychology. She is interested in the major impact that media platforms and advertisements have on food addiction; to what degree does it influence this dependency in our society? In the future, she plans to attend the Medical School of South Carolina to earn a degree in Physician Assistant studies. She hopes to work in Pediatric Neurology after graduation. Alex is a recent graduate of U of M. She majored in psychology, and is very interested in evolutionary psychology, mismatch theory and their applications to the field of health and nutrition. She hopes to go to grad school where she can develop ways to use the principles of evolution to help create interventions that would aid the current obesity epidemic, as well as other prevalent health issues. Kalei Glozier is a Senior pursuing three majors, Psychology, Sociology and Women’s Studies. He is interested in how food addiction is impact by socio-cultural factors including race, gender, sexuality, and SES. Upon completing his undergraduate studies, he hopes to pursue a PhD in Psychology. Jolie is a junior majoring in Psychology, minoring in History, completing a Sales Certificate through the business school, and is a participant in the Program for Entrepreneurship. She is interested in discovering relationships between eating disorders and the environment. In the future, Jolie hopes to pursue a career in Human Resources or Marketing, which will allow her to continue exploring how different environments impact individuals. Meredith is a Senior majoring in Psychology and Creative Writing. She is interested in the influence of various environmental cues including media and advertisements on the development of food addiction. In the future, she plans to pursue graduate school to earn a Ph.D. in Clinical Psychology. Ben is a junior majoring in Biopsychology, Cognition, and Neuroscience with a minor in music. He is interested in how food advertising targets individuals, and how that can, in turn, affect an individual’s overall health. After completing his undergraduate education, he hopes to pursue a master’s in health Informatics or perhaps attend medical school. Afeefah is a junior majoring in Public Health Sciences. She is interested in studying social factors, health behaviors, and health disparities related to obesity, especially in marginalized social groups. In the future, she plans to go on to graduate school to get her masters in public health. Riley is a junior and plans to major in BCN with a minor in philosophy. She also work at the MDen on campus. She is especially interested in the self-perceptions of addictive eating and how it differs with gender and age; particularly in relation to social media and different environments. Jessica is a Senior majoring in Biomolecular Science and Biopsychology, Cognition and Neuroscience. She is interested in the biological mechanisms that are behind food addiction as well as the social factors that cause eating disorders. She hopes to attend medical school after the completion of her undergraduate degree. Lily is a junior majoring in Public Health Sciences. She is interested in understanding the food environment in the United States and the implications this has on the growing obesity epidemic. She is also interested in understanding how food related disorders contribute to the epidemic. Upon the completion of her undergraduate degree, she hopes pursue a masters in public health and get a degree as a registered dietician. Nikki is a graduate of the University of Virginia with a major in Cognitive Science and Psychology. 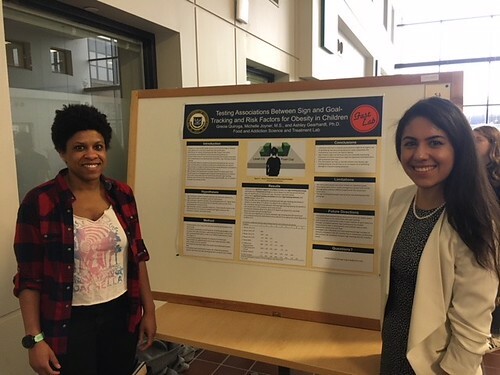 Nikki is currently working in a neuroimaging laboratory at Wayne State University and is volunteering in the FAST lab in preparation for pursuing a doctorate in Clinical Psychology. 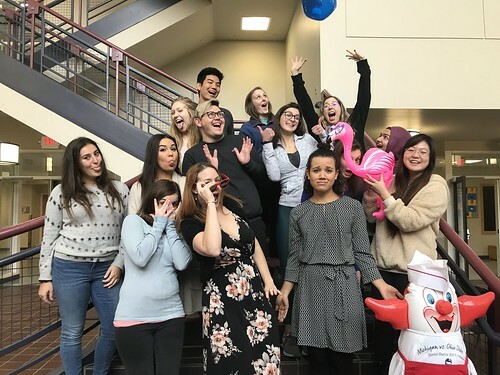 The FAST Lab has allowed her to combine her professional experience in neuroimaging research with her interests in the etiology, maintenance and progression of symptoms in eating disorders and addictive behavior. Kyle earned his B.A. in English language and literature from the University of Michigan in 2013. After working in hospitality for several years, he returned to U of M in 2016 to study psychology and prepare for a career in research. He is particularly interested in addiction and the public health implications of resource and health disparities among minority communities. Kyle is currently attending Northwestern University and working in the Institute for Sexual and Gender Minority Health and Wellbeing toward his M.A. in Clinical Psychology. He hopes to earn a PhD in Clinical Psychology studying assessment and treatment interventions. Julia is a sophomore in the LSA Honors Program majoring in Biopsychology, Cognition, and Neuroscience. She is interested in exploring at exactly what point poor eating habits transform into a clinically diagnosed food addiction. After graduation, Julia plans to attend medical school and specialize in pediatric neurology. Jesse earned his B.A. in Psychology from the University of Michigan in 2017. 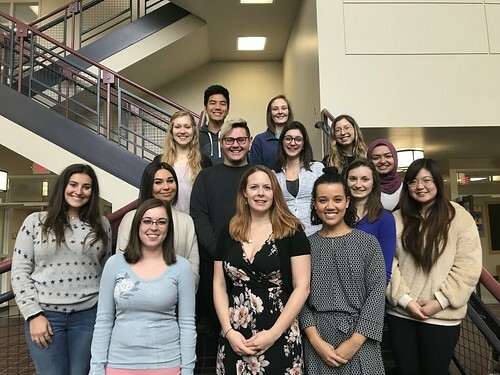 He is interested in exploring the role of impulsive and compulsive behavior in eating disorders, and volunteers his time conducting research with the Michigan Comprehensive Eating Disorders Program when not engaged with the FAST Lab. He aims to pursue a doctorate in Clinical Psychology focusing on improving the identification and treatment of impulsive behavior in disordered-eating populations. Grecia graduated with a degree in Biopsychology, Cognition, and Neuroscience with a minor in Gender & Health. She is interested in understanding how different social environments and advertisements influence the development of food addiction as well as the drive of the obesity epidemic. Upon completion of her undergraduate studies, Grecia hopes to attend medical school and work to address health disparities among minority populations. Katie is a sophomore planning to major in Psychology with a minor in Entrepreneurship. She is interested in studying the etiology as well as the gender dichotomy in eating disorders and food addictions. In the future, she hopes to attend graduate school. Hursh is a junior majoring in Neuroscience with a minor in Biochemistry. He is interested in researching the neurological pathways and behavioral factors that contribute to food addiction patterns in adolescents. Upon completion of his undergraduate studies, Hursh hopes to attend medical school and specialize in neurosurgery. Jessi earned her B.S. in Biopsychology, Cognition, and Neuroscience from the University of Michigan in 2016. She’s interested in assessment and early intervention for various developmental delays and is attending the University of Victoria to pursue a Ph.D. in clinical psychology with a specialization in neuropsychology. Celina earned her M.A. in Experimental Psychology from the University of North Carolina Wilmington and her B.A. in Psychology from the State University of New York at Potsdam. Celina attends the University of Minnesota, pursuing a Ph.D. in Social Psychology with a focus on health-related behavior change. Hannah graduated from the LSA Honors Program with a major in Psychology and English and minoring in Spanish. She is interested in knowing the societal and biological factors that contribute to food addiction. She completed an honors thesis with the English department and will be attending the University of Michigan Law School in the fall. Jocelyn graduated with a major in Psychology and minors in Gender & Health and Food Systems. She is interested in the underlying mechanisms of eating disorders and the correlation between the environment and one’s behavior. She completed an Honors Thesis investigating the influence of positive affect on one’s food consumption. To study affect, Ecological Momentary Assessment (EMA) was used with participants. Since graduation, she has become a research coordinator at the Center for Healthy Eating and Activity Research (CHEAR) in San Diego. In the upcoming years, Jocelyn plans to pursue graduate school to earn a Ph.D. in Clinical Psychology. Ruby Siada graduated with Highest Distinction from the LSA Honors Program with a major in Biopsychology, Cognition, and Neuroscience and a minor in Gender and Health. She completed an honors thesis and is applying to medical school. She is currently working in a pediatric neuro-oncology research lab at the University of Michigan Medical School. The FAST Lab fostered a passion for research that she did not know that she had, and she plans on continuing to conduct research in medical school and beyond. Blaire graduated spring of 2016 with a B.A. in Psychology from the University of Michigan. She is pursuing a M.S. in Psychology with a special focus in Clinical Science at the University of Michigan. She is interested in the intersectionality of diet, sleep hygiene, physical fitness and overall health, particularly with adolescents. In the future she hopes to earn her Ph.D. in Clinical Psychology with a focus in Health Psychology. Alex graduated with a major in Neuroscience. She is interested in studying how societal cues and views on food contribute to food related disorders. Upon completion of her undergraduate studies she hopes to attend medical school, striving to be a practicing physician. Rachel graduated with a major in Psychology and minor in Applied Statistics. She is interested in the decision making process in choosing food to eat among individuals who have eating disorders. She wrote an Honors Thesis on impulsivity and food consumption. In the future, she hopes to earn a Ph.D. in clinical psychology. Jillian graduated spring of 2015 with a B.A. in Psychology from the University of Michigan and was previously a research assistant in the Michigan Psychoneuroendocrinology Affective Laboratory from May 2012 until May 2015. 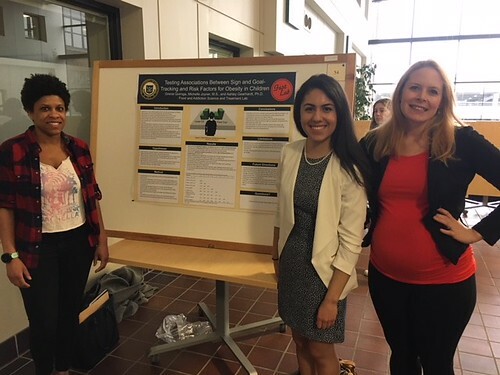 She wrote her Honors Senior Thesis with MPal, which investigated freshmen women and specific self-esteem traits that may place a person at high risk for disordered eating. Starting in Fall 2015, Jillian will be beginning her studies for an M.S. in Psychology with a special focus in Clinical Science at the University of Michigan, under the guidance of Professor Ashley Gearhardt. Jillian is interested in food policy aimed at creating a healthier food environment for children and adults. Caroline graduated with a major in Psychology and minor in Community Action and Social Change. She is interested in the effects of stress, social expectations, and restrictive environments on food addiction. She completed an Honors Thesis. In the future, she hopes to pursue either Clinical Psychology or Developmental Psychology in graduate school. Alyssa graduated with a double major in Biopsychology, Cognition, and Neuroscience and Spanish. She is interested in studying the neural basis of preference for different ethnic foods throughout varying cultures. She hopes to one day get her Ph.D. in clinical psychology and work as a clinical health psychologist. Alison graduated with majors in Psychology and Spanish and a minor in Writing. She is interested in the possible relationship between food addiction and eating disorders, as well as researching effective methods of prevention and treatment for eating disorders. In the future, she hopes to earn a Ph.D. in clinical psychology. Isabella graduated in Winter 2016 and double majored in Psychology and English. She is interested in the etiology and treatment of eating disorders and how eating disorders lead to disordered and addictive eating behaviors. Following graduation, she is planning on pursuing graduate school to either earn a Ph.D. in Clinical Psychology or an MS in Nutrition. Julia graduated from the University of Michigan with a degree in statistics and actuarial mathematics. She is interested in the self-perceptions of addictive eating, especially pertaining to age and gender. She plans to attend medical school and become a primary care physician so that she can identify and work with patients facing issues such as disordered eating. Emma graduated with a major in Biopsychology, Cognition, and Neuroscience and Spanish. She completed a Honors thesis on the interaction of screen time and BMI in adolescents. Emma plans on continuing to do research and then get her masters in public health. Zoë is a graduate student in Desiree White’s Pediatric Neuropsychology Laboratory at Washington University in St. Louis. Her research focuses on the relationship between brain and behavior in populations with neurodevelopmental disorders. Specifically, she is interested in whether structural and functional neural markers predict executive abilities in children with phenylketonuria (PKU) and autism (ASD). Zoë received her B.S. in Biopsychology, Cognition & Neuroscience from University of Michigan in 2014. Alex graduated from the University of Michigan in 2015 with a Bachelor of Arts in Psychology. 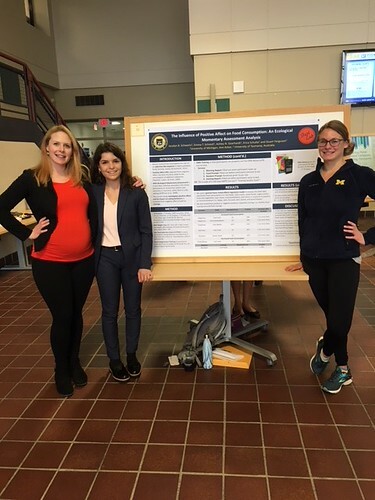 Her Honors Thesis explored how food addiction mediates the association between certain motivations to eat and elevated body mass index. After graduation, Alex worked in the FAST Lab as a research assistant on the Project Media Study. She is particularly interested in the underlying motivations behind excessive food consumption, as well as mindfulness-based treatments for eating disorders. Alex is currently pursuing a Master of Social Work at Columbia University with a clinical concentration. She will be involved in the Dialectical Behavior Therapy Training Program at Columbia in the 2017-2018 school year, completing her second year field placement at Creedmoor Psychiatric Center in Queens Village, NY. Priya graduated from the University of Michigan with a degree in Neuroscience. She is particularly interested in the biopsychosocial aspects of eating behavior. 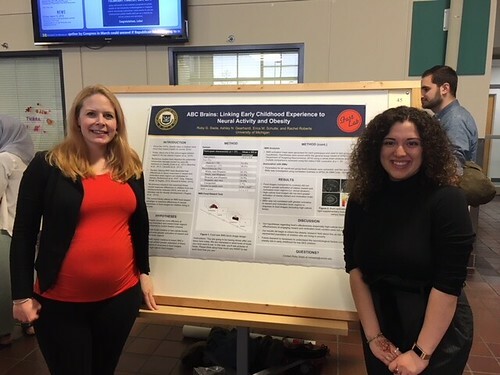 During her time at the FAST lab, she studied the interplay between gender and problematic eating and also completed a Honors Thesis investigating links between gender, BMI, depression and cortisol dysfunction. Priya will be attending medical school at the University of Cincinnati College of Medicine starting in August of 2017. Jake graduated summer of 2016 with a B.S. in Psychology and is interested in studying possible effects of sexuality on eating behaviors and perceptions. He completed on an honors thesis with the FAST Lab, looking at the relationship between sexuality and food addiction. After graduation, Jake plans to attend medical school, currently with particular interests in pediatric oncology and emergency medicine. Sally graduated spring of 2015 with a B.A. in Psychology from the University of Michigan and was previously the Lab Manager for FAST Lab from May 2014 until June 2015. She wrote her Senior thesis with the FAST Lab, which investigated the relationship between athlete endorsed food product commercials and their influence on our implicit attitudes. Starting in Fall 2015, Sally will be completing her M.S. in Psychology with a special focus in Clinical Science at the University of Michigan, under the guidance of Professor Ashley Gearhardt. Sally is interested in food commercials and their impact on adults and children as well as food policy initiatives and community involvement. Rebekah graduated spring of 2014 with a B.A. in Psychology. 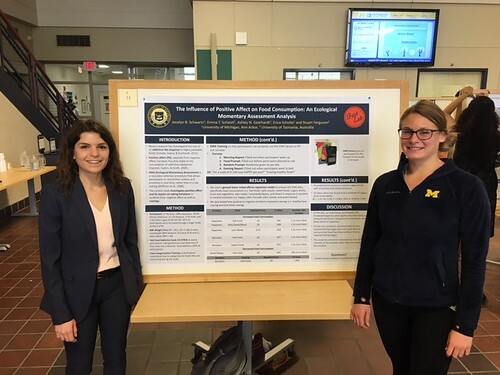 She is continuing her work with the lab while also working at the University of Michigan Comprehensive Eating Disorder Program. Her research interests include the role of families in eating disorder treatment and learning how food addiction fits into our current understanding and diagnosis of eating disorders. Rebekah also wrote her Senior Honors Thesis through FAST Lab. She plans to pursue a Ph.D. in clinical psychology and specialize in the field of disordered eating. Hannah graduated spring of 2014 with a B.A. in Psychology. She wrote her Senior Honors Thesis through the FAST lab. She is working as a Research Assistant at the University of North Carolina in the Developmental Sciences Department. Her research interests include food policy, food addiction and attempting to discover effective interventions to curb the obesity epidemic. She hopes to pursue a Ph.D. in Public Health or Clinical Psychology. Rachel graduated in May, 2014 with a B.S. in Biopsychology, Cognition, & Neuroscience. During her time at Michigan, she completed an Honors Thesis in Dr. Berridge’s lab. Her research focused on exploring what mediates pleasure throughout the brain, especially as relates to motivated and addictive behavior. Rachel is particularly interested in bringing together this scientific background with social policy and intervention, focusing on addiction and its intersection with food consumption and behavior. She will be working as a FoodCorps service member this following year at a K-8 charter school in Newark, New Jersey. Her work will involve teaching how to tend a rooftop garden, leading classes focused on integrating nutrition and cooking into the daily curriculum, and weekly tastings, where she hopes to make kids fall in love with kale and quinoa salads! Adam was a member of the lab for two years, who recently graduated with a B.A. in Psychology and a minor in Environment. He conducted an Honors Thesis in Dr. Gearhardt’s FAST Lab enabling him to grasp the requirements of the research process and graduate with Honors. His thesis pertained to food-related television and its effect on people’s eating behaviors and cravings. Adam plans on taking a gap year to take advantage of other research opportunities before heading into a clinical psychology Ph.D. program. He is enthralled by the various topics psychology has to offer, but is particularly fascinated with psychotherapy and hopes to expand his curiosities through research and clinical work. Kayla graduated in 2015 with a B.S. in Neuroscience and Medical Anthropology. 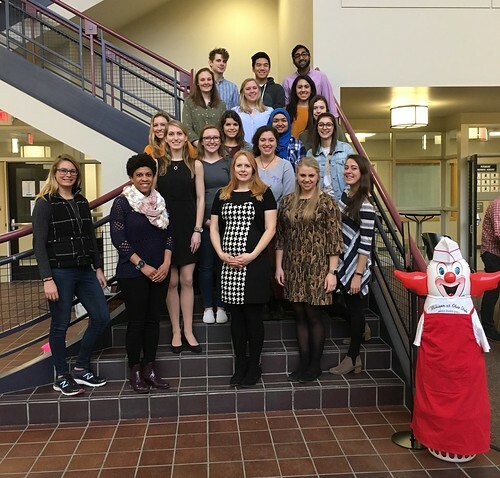 During her time at FAST Lab, Kayla collaborated with New Castle University in Australia on a study that focused on children’s eating behaviors. After graduation, Kayla completed a year of service in Cleveland, OH through Jesuit Volunteer Corps/Americorps working as a Patient Benefit Specialist at a Federal Qualified Health Center. She also taught nutrition courses to local preschool students and spent time volunteering at a Providence House, a crisis nursery shelter. She is now attending the University of Pennsylvania School of Nursing working toward her BSN and MSN degrees to become an Acute Care Pediatric Nurse Practitioner. Kayla also has a strong interest in public health and interned with the Society for Public Health Education in Washington DC in Summer 2014. She hopes to use her experience to educate patients about ways they can live healthy and active lives! After graduating U of M in 2015 with her B.A. in Psychology, Sarah moved to Berlin, Germany continue her education. She’s now completing her M.Sc. in Social, Cognitive, and Affective Neuroscience at the Free University Berlin, and is currently writing her master’s thesis at the German Institute for Human Nutrition on the perception and discrimination of basic tastes using EEG. She plans to continue her studies and earn her Ph.D. in psychology and/or neuroscience. In the meantime, she’s enjoying life in Berlin, and dancing when she’s not in the lab. Jessica graduated in 2015 with a B.A. in Psychology. She is interested in self-esteem and how that is related to eating disorders and eating behavior in general. Recently, she has decided that she wants to get her Masters in Counseling Psychology. She hopes to be a therapist someday working at a private practice or clinic.